Green tea is a very popular beverage and one reason for its popularity is because of its health benefits. It has a high content of flavonoids which are a group of phytochemicals that have anti-oxidative and anti-carcinogenic properties. What that means is that phytochemicals can help fight off or prevent a number of diseases. Green tea is made from the leaves of Camellia sinensis but there are a number of varieties created by variations in growing conditions, harvesting time, and processing. On this page we are going to focus on four popular varieties of Japanese green tea. Matcha comes in powdered form and is the tea that is used in traditional Japanese tea ceremonies. There is an un-powdered form of Matcha that is called Tencha. Matcha tea leaves are grown in shaded fields much like the Gyukoro variety. The leaves are steamed and dried and only the blades of the leaves are used, not the stems and veins. This variety of tea has a mellow sweetness and a subtle bitterness. 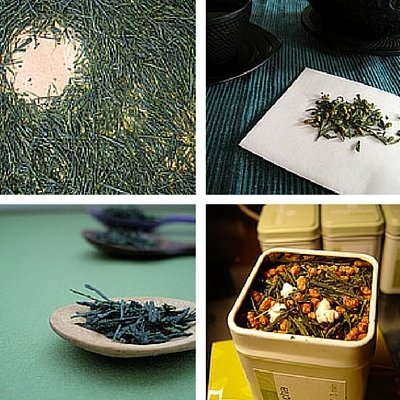 It is the most popular Japanese Tea outside of Japan and to learn more click here. 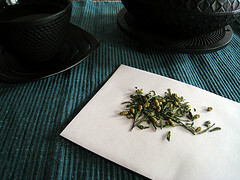 Many people consider Gyokuro (more info) the very best Japanese green tea. This variety is grown under diffused light and it is made from single buds that are picked in April and May. The leaves are very small when they are plucked and they undergo minimal processing but they are steamed for approximately 30 minutes to stop fermentation and seal in flavor. 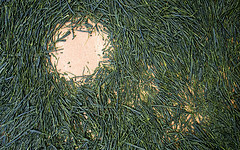 They are then dried to a 30% moisture content and they are rolled until they are formed into thin, dark green needles. They are then dried again to a 4 to 6% moisture content. The flavor of this variety has been described as rich and sweet with a little bit of a briny taste and an almost buttery aftertaste. 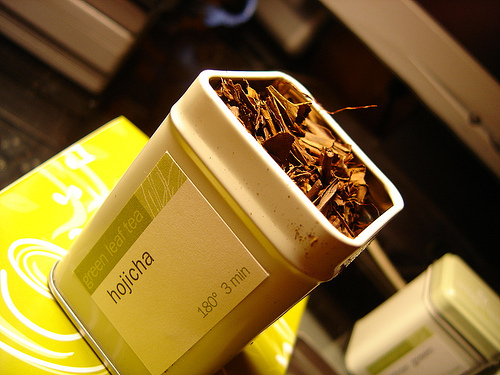 The Hojicha of Japanese green tea is made from a mixture of leaves and stems that are pan fired to give it a flavor that is very much like roasted grain. This variety of Japanese green tea has less caffeine than other varieties. 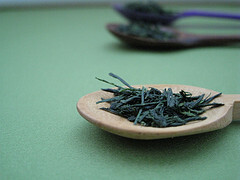 Sencha is made from the top parts of the tea leaves and buds. The whole leaves are steamed for a short period to stop oxidation. They are then rolled into long cylinders and dried. The final step is to fire the leaves which will preserve them and give them their flavor. The flavor of the Sencha variety of Japanese green tea is mildly sweet with herbal flavors. Please make sure to read our interview with the Director of Ippodo Tea(NYC) by following this link. It is Ippodo first outpost outside of Japan. World renowned Sukiyaki is the most famous Japanese hotpot, but in Japan, Shabu-Shabu is just as popular.